With a few long weekends just around the corner, this is the best time to plan for that getaway trip. Whether you’re up for a trip to the beach, a mountain adventure, or even an out-of-town staycation – whether festive fun or a chill-out session - it’s how you make use of the weekend that matters most. So, what better way to have a good time than to be with your friends, have good food, a few drinks, and listen to great music? 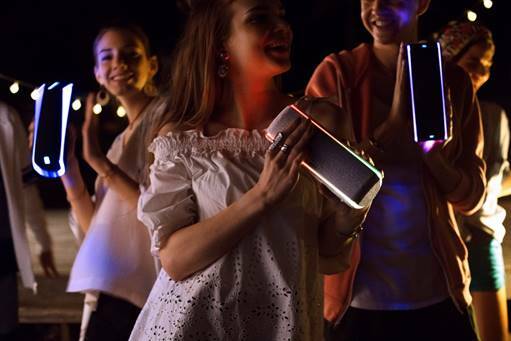 Amplify your way of listening to good music with Sony’s latest portable wireless party speakers, the SRS-XB31. We tell you why the Sony SRS-XB31 is the best companion for your weekend shenanigans. Up your weekend getaways with the new Sony SRS-XB31 priced at Php 7,419. Now available in all Sony centers and authorized dealers.